Is Your RMM Software Free? A managed services provider has a lot of expenses to deal with and remote management and monitoring programs can be expensive. This is just the tip of the iceberg. 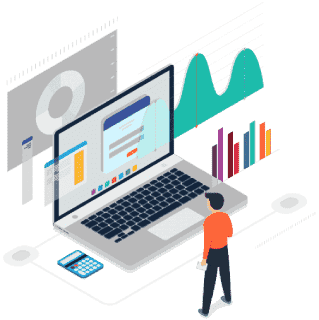 Let's take a look at the benefits of using rmm software free of charge and why paying for your remote managing program may cost you far more than you think. Can You Really Get RMM Software Free? Yes you can. This is the reason ITarian is an open source platform. It's very easy to figure out the cost of the platform and modules which come with the basic program. There is no cost and it is as simple as that. You have the option of adding modules like Acronis cloud backup service and this comes with a fee and it goes by how much data you need to store. As an alternative to getting RMM software free, you can buy a program from a vendor and pay for licensing fees. However, this may not be where the paying stops. Some developers have a host of hidden fees they do no tell you about. Just go online and check out some rmm software programs and see how much they cost. Chances are, you cannot find any prices this way. So why is this? Most likely, these companies are somewhat embarrassed of the fees they charge or they think you will believe they are exorbitant. This may not actually be the case, but when you think about it, it makes more sense to check out rmm software free of charge. Did you know some proprietary software providers offer upgrades but you must pay for them. In addition, support may also cost you. Some companies offer special "upgrades" to their software customers and you may have to pay thousands of dollars for new server computers and software. There is another "hidden cost" to consider with some programs. You may need to pay a substantial fee for each agent. And of course, you'll need agent software installed on every endpoint and if you own a large network the costs could rapidly add up. Some or all of these features may cost you extra when you choose a proprietary software product. Free trial software seems like a very good idea. After all, it gives you the chance to test drive the product before you buy. However, some trials are for 7 days, 14 days, or maybe 30 days. Is this really enough time to assess a program and compare it to rmm software free of charge? If you decide you don't want the product you will need to uninstall and possibly clean registries afterward. This can be a time consuming task in some cases and you may have to pay someone to take care of this job. So you see, a free trial might result in you paying out money. Buy software from a vendor - this can be a problem because you may have a lot of hidden extras you are not told about. In fact, the charges could never stop if you are paying for upgrades and support service. Free trials let you check out programs but they can sometimes be a pain. Go with a free open source platform (like ITarian) - this program has been developed for everyone to enjoy and everyone has the chance to be a part of the project. Upgrades and changes will occur, but they will not cost you. If you need to install agent software on hundred endpoints, it could break your budget when you buy some kinds of software. This does not happen with open source programs. In addition, you enjoy many benefits with ITarian because it has been designed by msp professionals to integrate with psa technology. There is no free trial period with ITarian. You don't pay for the program and you can enjoy the features of the modules that come with it. To learn more about this program, visit us online now at https://www.itarian.com/ or for a free demonstration, pick up the phone and call (973) 859 4000 ext 3025.